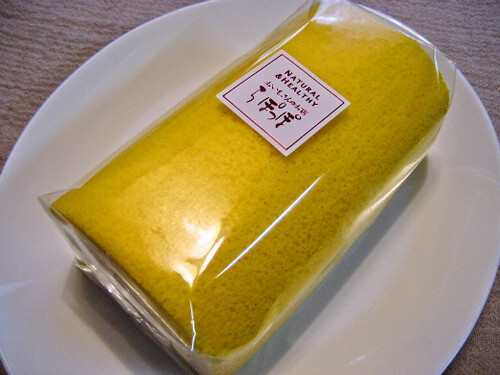 This is a sweet potato and mango roll cake from Rapoppo which is a sweet potato confectionery. 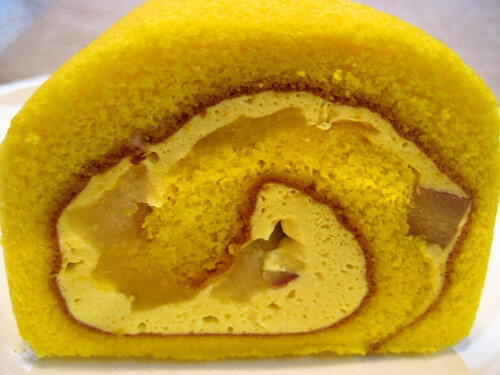 There are diced sweet potatos and mangos with fresh mango cream inside of the moist sponge cake. 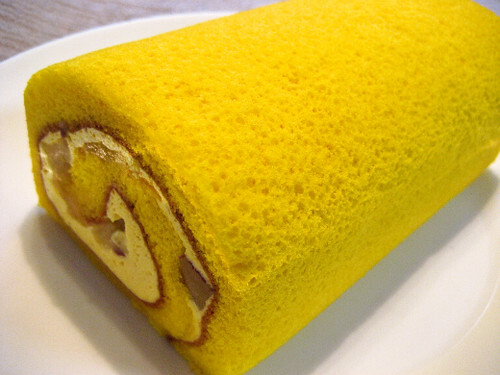 Yummy and juicy roll cake is a wonderful treat at any time! Sweet potato and mango is an unique mix…I’ve never tasted it, but it looks so good!